Yesterday August 7, Ironman 70.3 Philippines Asia-Pacific Championship was successfully held here in Cebu. With almost 3,000 participants both local elites and foreign athletes from 43 countries around world competed on that day. They showed to Cebuanos, other Filipinos, and to the whole world what they’ve got, their strength, one of a kind stamina and endurance on that tough triathlon competition. I’m not that sports fanatic but on that day when I saw them for the first time biking so hard and fast just to reach the end point of 90 km and then running for 21 km, I can feel how their adrenaline rushes through their veins way back how I felt when I joined the 37th Milo Marathon two years ago and unfortunately nailed me on the 4th place on 10K category. Huh! People were yelling and shouting especially when local athlete artists like Dingdong Dantes, Piolo Pascual, Mateo Guidecelli, and others passed on the route where they’re standing by. Again, yesterday Cebu was crowded by amazing triathlete visitors from the world of sports with their team, family and friends. This morning the Ironman Foundation with some of the Asia-Pacific Championship Triathletes and Sunrise Events Inc. visited Marigondon Elementary School and donated P250K through Children’s Hour. There was a short program conducted to tell everyone what was that all about. Selected students offered them with short eyes breakers like dancing the Native Dance Itik-Itik and group of Grade III pupils singing Rosas Pandan. Later part of the dance, women triathletes joined the pupils dancing. And one athlete even joined performing the Marigondon Elementary School DLC (Drum Lyre Corps). To highlight the event, Asia-Pacific Championship Triathletes painted the wall of one of the classrooms with mural painting featuring the Ironman 70.3 logo. 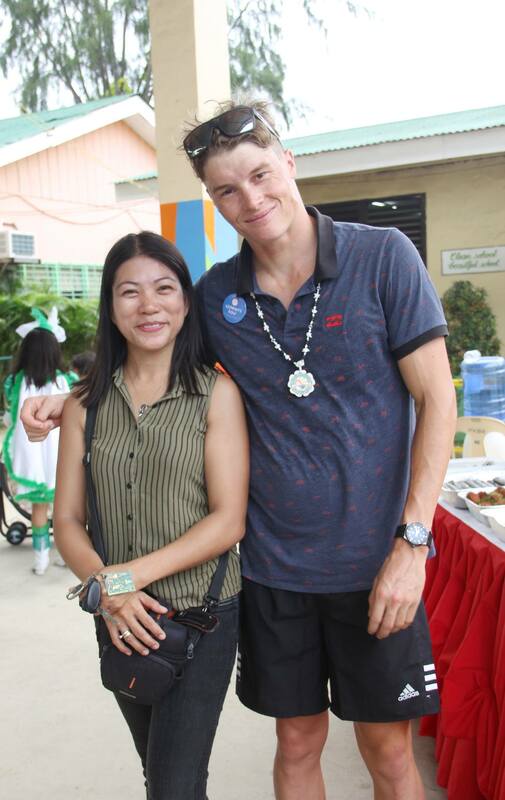 While busy painting, teachers, parents and few visitors around them were also busy taking photos with the triathletes. They also left marks on that Grade II – Mahogany classroom wall with their hand written signatures. Me too proud to have photos with Brent MacMahon, Eric Watson, Sam Betten, Levi Maxwell, Tim Van Berkel, Braden Currie and other amazing Ironman 70.3 pro guys and women. 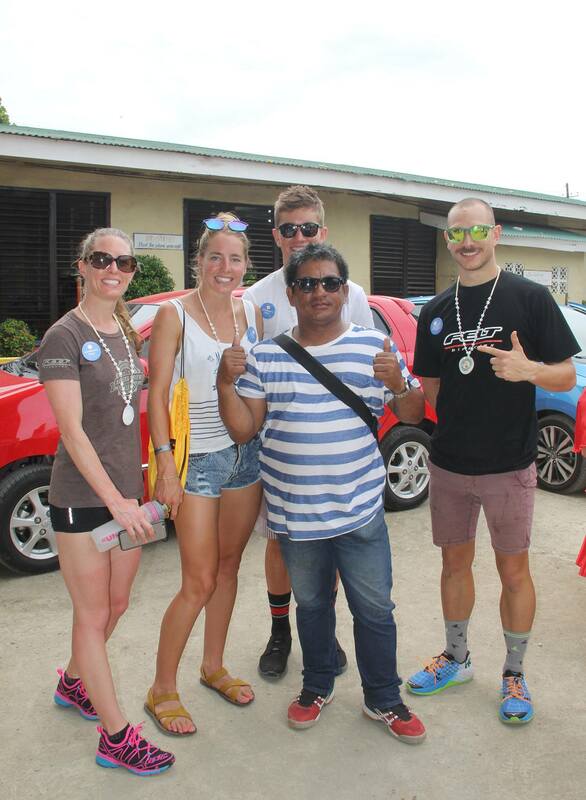 Thanks a lot for dropping by at Marigondon Elementary School and enjoy Cebu! ← Friday August with Mandani Bay. Wow, that’s a huge help for the school! Great job and kudos to their kindness.